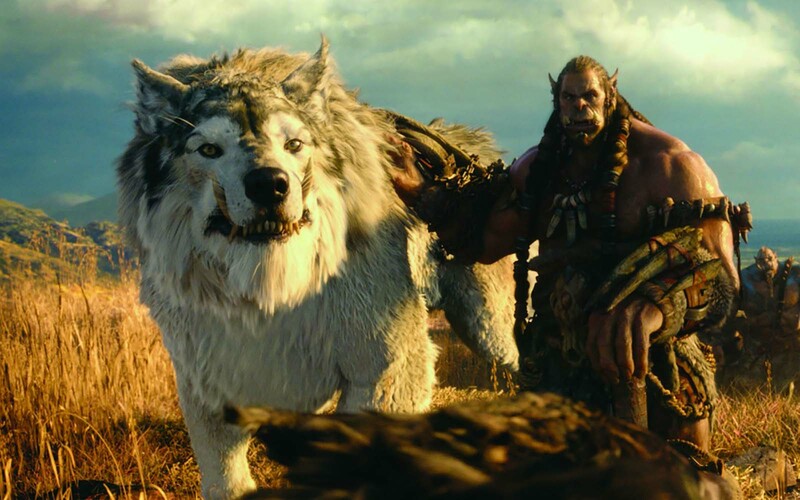 Warcraft: The Beginning is the latest in video game to movie adaptations. It’s been a little while since we had one of these, and I don’t think we’ve ever had one that’s been this ambitious. Warcraft: The Beginning, as it’s name suggests, is about the beginning of the Warcarft timeline. It’s loosely (and I do mean loosely) based on the events of the first Warcraft game that came out way back in 1994. We follow the story of Durotan, leader of the Frostwolf tribe of Orcs, and Anduin Lothar, a Captain of the Stormwind Army. These two characters are thrust together when Gul’Dan, an evil Orc Necromancer opens a portal to Azeroth, the human homeworld. Through this portal Gul’Dan sends a horde of Orc warriors to conquer Azeroth as the Orc homeworld is dying. Durotan doesn’t trust the Necromancer and so he forms an alliance with the humans to try and free his people from the clutches of the corrupt Orc. 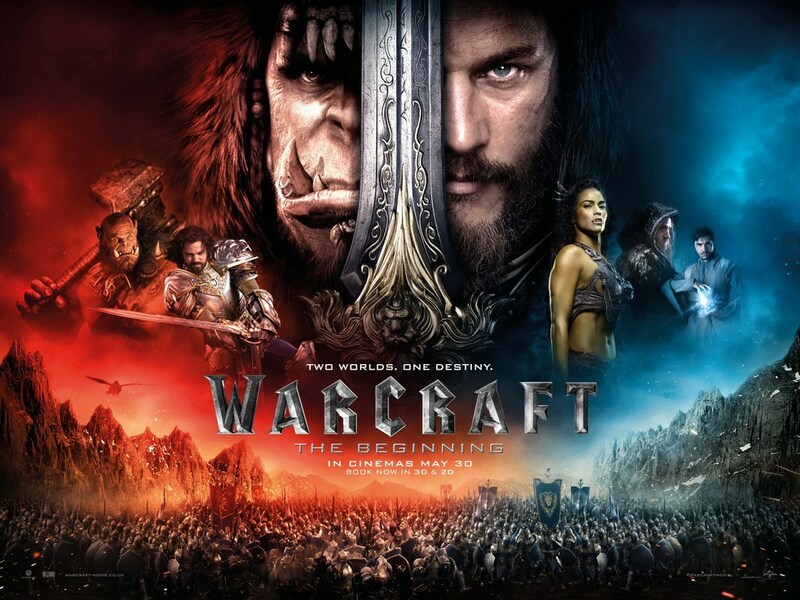 The first thing I think anyone will tell you about this film is that the Orcs look incredible. Warcraft Orcs are very large compared to Orcs from other fantasy films like Lord of the Rings. They’re just enormous slabs of muscle on top of muscle. They are so big that in one fight scene an Orc picks up a war horse and throws it at a pair of unfortunate human soldiers. The only way to really depict them onscreen was to make them entirely cgi. It’s clear that a lot of time, effort, and money went into the orcs because they look real. It’s honestly an incredible feat of computer animation. I think it puts Avatar’s Naavi to shame. Orcs aside, however, the rest of the film doesn’t wow in the visual department. Some of the sets are poor and the cgi locations are very obvious. There’s a particularly bad scene where the heroes are riding along a road and I could clearly see where the set ended and the green screen backdrop began. I think the resources they pumped into making the orcs look amazing resulted in the rest of the films visuals being done on a tight budget. It’s not quite as bad as the Eragon movie where 99% of that films visual budget went on the dragon and the rest of the film looked god awful, but I think that might be because this movie had a way bigger budget to play with. As I mentioned earlier, the storyline is loosely based on the story of the first Warcraft video game. Gul’Dan opens the dark portal and the Orcs invade Azeroth. Most of the characters from that time are in the film, but there is a lot of alterations that some diehard Warcraft fans might take issue with. I have always loved Blizzard’s fantasy series (and all of their other games if I’m honest), and the changes they made didn’t bother me that much. What did bother me, however, was some of the forced plot devices and situations that I think needed to be added for the films story to make any sense at all. Warcraft is a dense movie. It has a hell of a lot of moving parts and it does a pretty decent job of giving them all just enough screen time where you don’t forget about them or wonder how they are connected to everything else. Medivh plays a large part in all of this, as anyone who has played the games will understand, but they do a very poor job of explaining his motivations and what exactly has happened to him. If you’re a fan of the games lore then you will know already, but not explaining it in the film when he plays such a crucial part I thought was a bit of a mistake. Speaking of poorly represented characters, don’t even get me started on Garona. I thought the acting on display here was also pretty weak. There are some good performances, and a few nice moments, but overall the standard is pretty low. Travis Fimmel does a good job as Lothar, and Toby Kebbell’s Durotan was pretty decent, but aside from that, the rest don’t seem to hit the right tone for the movie. It’s hard to summarise how I feel about this movie. This might read negatively, but I actually did enjoy watching it. It’s light hearted and fun, but this is a double edged sword as it makes any sense of tension fall flat. It’s the kind of film you can just turn your brain off and enjoy the spectacle. I think it suffers in a number of places, like the casting choices, and the questionable cgi in everything other than the orcs. The story has some pacing and consistency issues, but if you’re familiar with the lore you can get by with your prior knowledge filling in the blanks. Warcraft: The beginning had the potential to be awesome. It has a rich lore full of incredible characters and stories to choose from. It has the financial might of Blizzard behind it, and the incredible directing talents of Duncan Jones (Moon is still one of my all time favourite sci-fi movies). It had all of the necessary ingredients, but it just seemed to focus on the wrong things and for me it fell short of being great. Some people think it’s awesome, other people think it sucked. I think it sits somewhere in between. I think it’s a great love letter to the source material and it has plenty of easter eggs for fans of the games to enjoy, but it sacrifices some basic film structure in order to satisfy other things. I guess now we can all start holding our breath for the Assassin’s Creed movie, and begin our whisperings about whether that film will break the curse of the video game adaptation. There’s still hope 2016 will be the year we get a truly great video game movie.